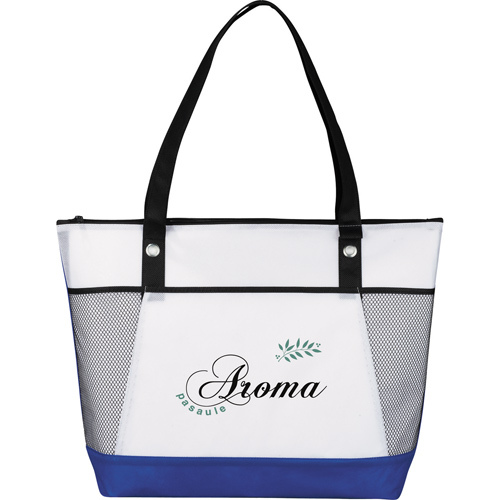 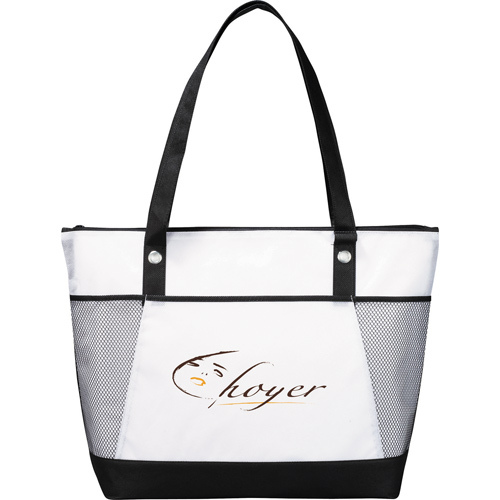 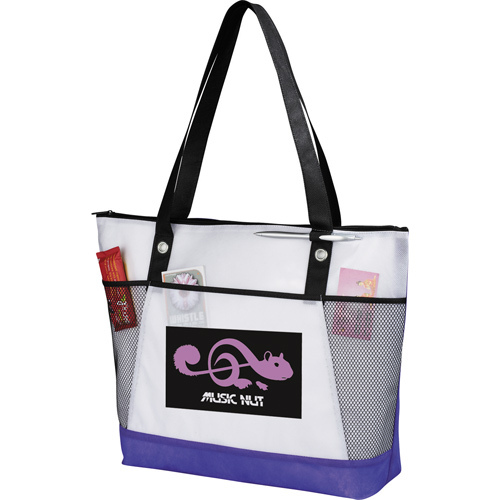 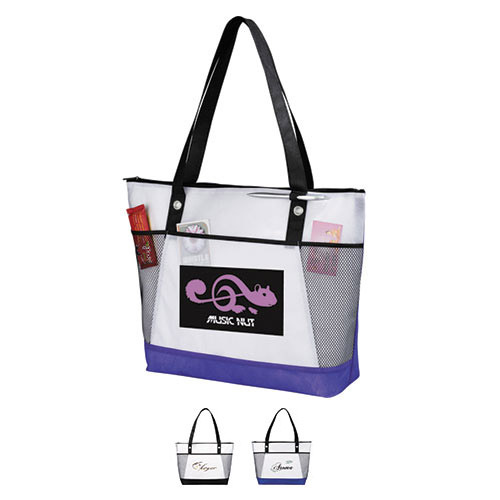 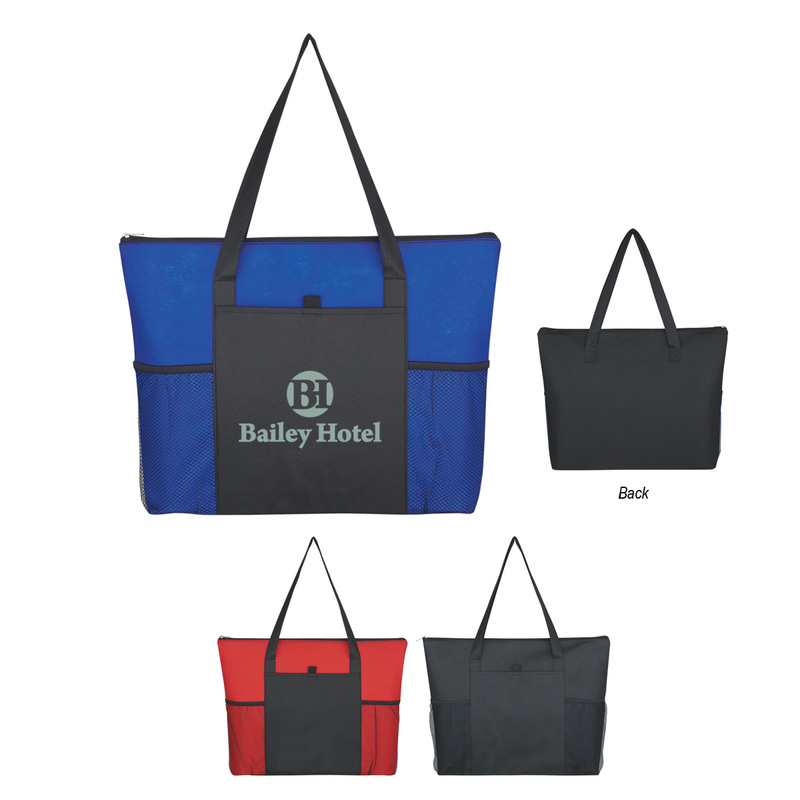 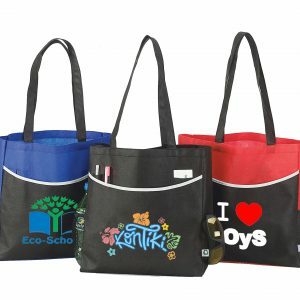 What better way to promote your brand than with wholesale pricing on this reusable promotional tote bag? 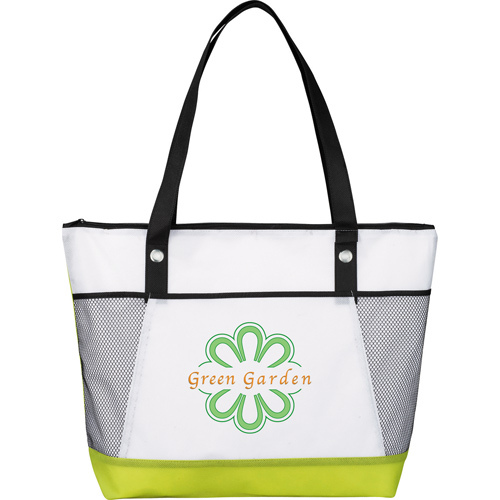 This reusable tote is made from an 80 gsm non woven material with a zippered main compartment, double 26″ handles and open front pocket and will work to market your brand effectively for many years to come. 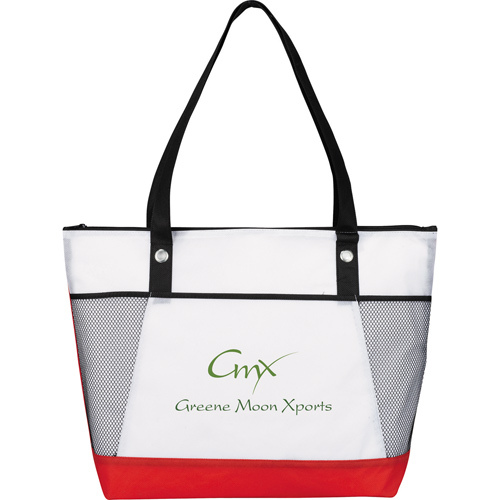 One of our newest and most popular styles, works great marketing to any demographic.